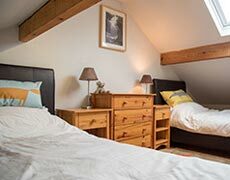 Book Inglefall Cottage, sleeping 6/8 for a great holiday cottage base close to the Ingleton Waterfall Walk in the centre of Ingleton with pubs and shops within easy walking distance. 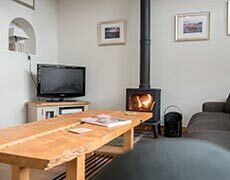 Inglefall Cottage features two cosy woodburners. 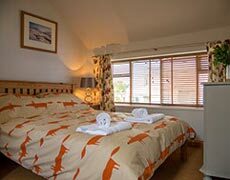 It offers cycle storage, is child and dog friendly, and is a great base for family and friends outdoor activity holidays. Ingleton attractions include an excellent village climbing wall and seasonal outdoor swimming pool. There are 2 local show caves; White Scar Caves and Ingleborough Cave as well as plenty of opportunity for caving and potholing enthusiasts. Other great days out include Skipton with it's market and medieval castle, Malham Tarn and Cove, the famous Settle to Carlisle railway and Ribblehead Viaduct as well as the pretty Dales villages of Grassington and Kettlewell. Inglefall Large Cottage sleeps 6/8 Inglefall Cottage sleeps 6/8 in twin, double and family bedrooms with extra futon and fold away bed. It features 2 woodburners, patio for BBQ and access to secure bike storage. Up to 2 well behaved dogs welcome at £15 each. 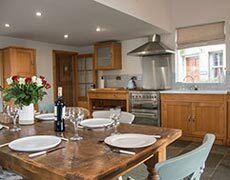 Jasmine Cottage sleeping 2/3 Situated next door to Inglefall Cottage, Jasmine Cottage offers a fully equipped kitchen/sitting room with underfloor heating. Family bedroom with double and single bed. Up to 2 well behaved dogs welcome at £15 each.